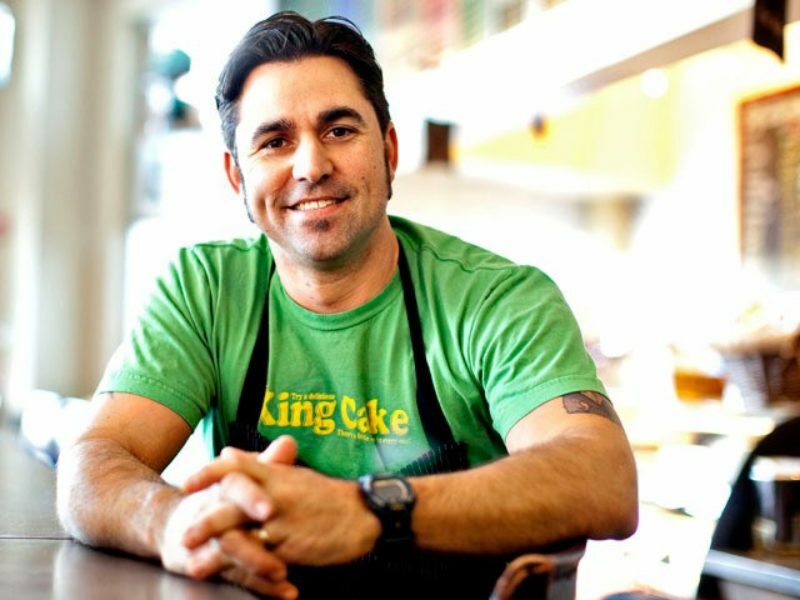 Chef David Guas is Chef/Owner of Bayou Bakery, Coffee Bar & Eatery in Arlington, Virginia and Lil’ B Coffee & Eatery in Washington, D.C. Chef Guas is a passionate believer that Wild American Shrimp simply tastes better – satisfying sweet and plump, with more flavor. He is a longtime supporter of the Gulf and South Atlantic seafood regions and their culture – from interviews to social media and spotlighting Wild American Shrimp on menus at his restaurants. At Bayou Bakery, Coffee Bar & Eatery he serves up more than 1,500 pieces of Gulf shrimp every week. Guas has garnered national praise in publications like Food & Wine, Southern Living, Garden & Gun, Saveur and Bon Appétit for showcasing the soul of the South in his sinfully delicious Louisiana-style favorites and signature desserts at his neighborhood spot in Arlington, Virginia, Bayou Bakery, Coffee Bar & Eatery. His second Eatery, Lil’ B, opened at Hill Center at the Old Naval Hospital, occupying a historic carriage house on Washington’s Capitol Hill commissioned by President Abraham Lincoln. Chef Guas is a long time supporter of several charitable organizations including Share Our Strength, DC Central Kitchen, Human Rights Campaign, Real Food for Kids, U.S. State Department and the James Beard Foundation’s Culinary Initiative, as well as a former board member of Best Buddies in Virginia. Guas’ passion for Wild American Shrimp is something that he is eager to share with loyal patrons and first-time visitors alike and is what makes him a finalist in this year’s Chef of the Year competition. Learn more about Chef David Guas here and check out this delicious recipe featuring Wild American Shrimp.